Zolaykha Sherzad has made a life-changing career move, from award-winning architect in New York to founder of Zarif Design in Kabul. Mariam Mahir talks to the lady behind the fashion house about her faithful determination to re-awaken her country from decades of muted creative expression, preserving traditional Afghan costume. 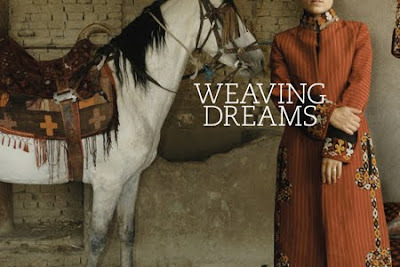 What an amazing article and life this desiger has...so dedicated to helping her Sisters in Afghanistan. Her designs are truely beautiful and unique. The photo with the horse vividly portrays Afghani culture. Thank you for posting my article. Zolaykha is an inspiration to us all. Not only has she revived traditional Afghani costume, but has taken it upon herself to educate and improve the social development of her fellow countryfolk, not to mention propogate an exquisite craft adding her own modern twist to flourish in the 21st century.